Paula was right: David you are r.i.d.i.c.u.l.o.u.s! I don’t know how David keeps topping himself with these performances but he just does. (Although, full disclosure, I kinda miss the haunting quality of David accompanying himself on GP/LIB, keyboard blips and all). Gonna post highlights here… stay tuned for updates! Still smiling. Still laughing. Still posing. That was David Archuleta Wednesday night at theWellsFargoCenterfor the Arts. Prior to his stop inSanta Rosaon his My Kind of Christmas Tour, Archuleta was doing what he does second-best: interacting with people. It was then that he was near the end of his 90-minute meet-and-greet session prior to the 2 ½ hour concert when one of the last fans asked him to sing a few notes of one of his songs. He kind of hesitated and then clearing his throat he did what he does best: sing. It was amazing how his voice morphed from a giggling 20-year old kid to an accomplished singer in an obscure upstairs room at the WFC. By now you certainly know the back-story of American Idol’s season 7 runnerup. What you don’t know, if you missed Wednesday’s concert, is how much he has matured as a singer, as a performer. The WFC holds about 1,600 for a concert. Only approximately 700 attended Wednesday’s event. 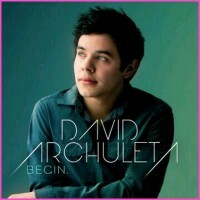 Archuleta sang 17 songs, 13 of them Christmas songs and one (Little Drummer Boy) was an encore. Needless to say “Archie” isn’t appealing to everyone and honestly it’s hard to say why not. But the truth is that the kid can flat-out sing. You’d be hard-pressed to find a better version of Ave Maria, Silent Night or Have Yourself a Merry Little Christmas than those produced by Archuleta. His show was entertaining because he made it that way. He injected his own quirky personality on the evening and tweaked every song with some nuance that made it his. All and all, a good job. 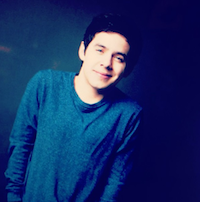 Following is what Archuleta had to say about the tour during a phone interview last week during a stop inIdaho. “All I want to do is perform in front of as many people as I can who are willing to listen. I don’t want to force anyone to listen to my show if they don’t want to. If people enjoy what I am doing that makes it even better. “Music is a huge part of my life, but it isn’t my life. It’s just part of my life. That’s how I like to think about it. The last Christmas tour was the most favorite tour I have ever done. Afterward I felt so good, like I had just eaten a good meal. I mean I love singing the pop songs, the songs that get people energized, but doing the Christmas tour gave me the chance to use elements that made me want to sing in the first place. What I loved about music. It was pretty obvious he did just that on Wednesday night. 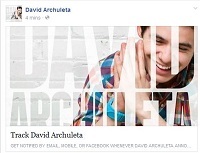 This entry was posted in Fan experience and tagged David Archuleta is a beast!. Bookmark the permalink. 30 Responses to Paula was right: David you are r.i.d.i.c.u.l.o.u.s! “As his voice rang through the room, accompanied by only a keyboardist–and, at one point, a cappella–dozens of faces lit up with wonder. A singer was giving away music, and a news organization was hosting a concert. Why was any of this happening? Me thinks David is part of the “new model” NVM about controlling, money hungry labels. 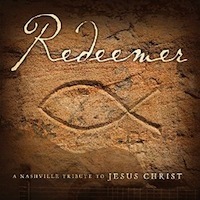 Happy to hear this collegemom – love it if you would share you thoughts on the concert! Sounds like an aMAZing show, collegemom, what was it like being there? Love this videos!!! Especially This Christmas. Killer vocals there!! Also, added killer vids of an incredible Pat-a-Pan and another fun Fa La La to post above. Salsa-move kids, woooot! Lower the maximums. By agreeing to accept less overall pro�tection, Quotes Chimp reduce the total out-of-pocket risk the company accepts by insuring you. This, in turn, allows them to lower your overall premium. Tofan – I’m a long time diehard lurker here. Thank you so much for keeping this site so entertaining. Hope to meet you at one of DJA concerts soon! Collegemom and I went to Santa Rosa together. David was on “FIRE” at Santa Rosa concert. His grandparents, aunt, and cousins were at both VIP and the concert. A middle age gentleman yelled “Perfect! Perfect!” at the top of his lung after Silent Night. My palms hurt at the end of the concert because I applauded too hard after each song. MikeSD mentioned at SoulDavid that Santa Rosa concert has been the best so far. I only taped the VIP performance, and uploaded to YouTube. If you haven’t seen them, check it out. quiteblanc HELLO! Lovely vid’s thank you. David obviously steps it up for family, so wonderful for you to have been there. De-lurk more often please! Man – what memories – meeting in San Fran at Liz’s house? I am terrible with names, so many were there. Collegemom did we meet at the Murry theatre? and also at Liz’s? Yes! Collegemom and I are David concert buddies. We met you and your husband at Liz’s house before David’s last Christmas concert, That was two years ago! Time flies. David was not feeling well that night, but he made it through the concert well. Every song at Santa Rosa was exquisite! ODD kicked in on the way back home. Hi, refnaf and other SnowAnglez! Wow, the awesome vids keep coming…. thank you quiteblanc!!!! ***waves*** to all the lurkers> love it when you say “hi”!!!! Seems that David keeps topping himself….. how is that possible????? Watch this space for an early Christmas gift from David and his good friend, producer, songwriter and musician Dapo Torimiro, and others – coming soon! Joyeux Noël mes amis Canadiens! just had a listen – may not be to everyone’s taste but I really really enjoyed it – the entire album. Have a listen judge for yourself. Sung with heartfelt emotion by all. I believe that we will hear many forms of Little Drummer Boy by David. On one of the early MKOC stops (2nd, 3rd or 4th) David said a quick “This is a special song” just before starting to sing and I have no doubt that it is. Stopped playing it long enough to listen to the entire album. Sans a couple of renditions I really liked it too and will add it to my collection of David’s Christmas music. LDB feat. Dapo….tofan, are you still vertical? My gosh, so much superb, fantastic happenings with David and on this very special tour! Been such a busy week for me, still have to catch up on so much. What a phenomenal week it has been! David has been blow away, beyond expectations amazing! Still must listen, watch, check out so much, loving it all. A wonderful Christmas gift! LDB feat. Dapo…..will get to it, must and will.